The Pontiac Solstice did great in the sports segment of the market, which made many companies try to cash in on this same area. Saturn, for example, decided to go in with a basically upgraded version of the Solstice - their new Sky model. Being built on the same global rear-wheel-drive compact performance platform, the Sky was not far from achieving Pontiac’s success from the get-go. But, Saturn chose not to satisfy their hunger and stop there; the company made significant improvements to surpass their role model. When it comes to the Sky, Saturn decided to go with base trim and an exclusive Redline trim. The Redline trim proved to be greatly favoured by customers as it provided everything that every sports car enthusiast wants. This trim has a stronger engine, which makes for some powerful and fun drives. The Sky comes with two versions of transmissions, a five-speed manual and a five-speed automatic. The automatic, though, does not come with an additional manual shifting option like many of the previous Saturn models do. Much like its Pontiac counterpart, the Sky is a gorgeous piece of automotive design. Unlike its predecessors, Saturn did not make the voluptuous curves a key feature of the Sky’s exterior design. The silhouette is rather dominated by intersecting planes and edges, which give away a shape that takes everyone’s attention. The exterior panels are all unique Saturn design, be it steel-sheet or plastic panels. Its jewel-like headlight projector and unique taillights, combined with the rectangular exhaust tip, make for some recognizable features which leave no passerby indifferent. Additionally, the standard 18-inch wheels and tires give away a flashy and incredibly sporty appearance. 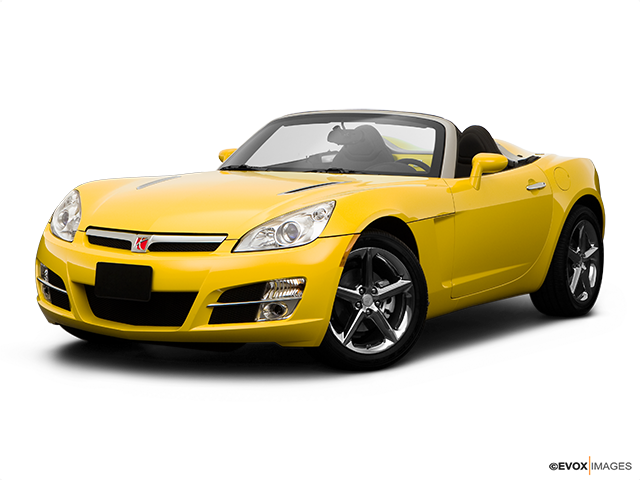 The Saturn Sky is not only good looking on the outside. Anyone who casts the slightest glance at its interior is bound to be charmed by the feel of the model. 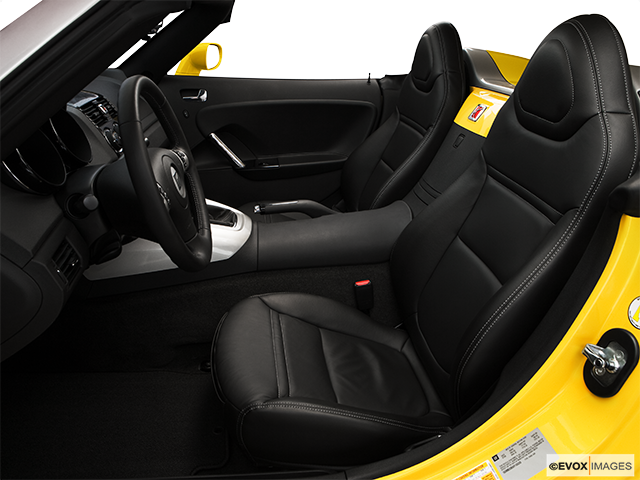 The interior comes in two tones of leather covering, which makes for a very stylish impression. The seats, apart from that, are incredibly supportive of one’s back and will make the long rides immensely enjoyable without the passengers or the driver feeling the toll of the long drives. The centre console is chromed and comes with the HVAC automatic air-conditioning system and audio player of great quality. The centre stack, on the other hand, does not only have a chrome vibe, but also incredibly glossy black piano-paint. The wind-buffeting in the cabin is not a problem in the Sky as communication between two people is perfectly understandable when driving at the upper legal speed limit. Driving the Sky feels exceptionally enjoyable. The car’s rear-wheel drive enables it to accelerate very quickly. Despite being a fairly heavy sports car, it still feels rather solid and stable. The model's wide stance causes it to feel really flat in the corners, which, combined with the wide 245-inch tires, grant the Sky some serious cornering power. The turbo also feels quite powerful over the 1500 rpm mark. 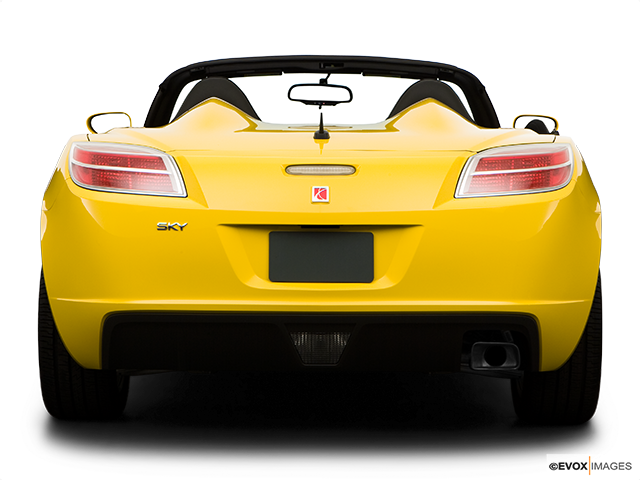 For a sports car, the Sky has a marvellous suspension system that makes the rough patches feel unnoticeable. Steering-wise, this car is a story of its own; it is terrific and quite responsive. Some drivers might find it to be too quick for their taste, but it is perfect when one needs to make a rapid correction. 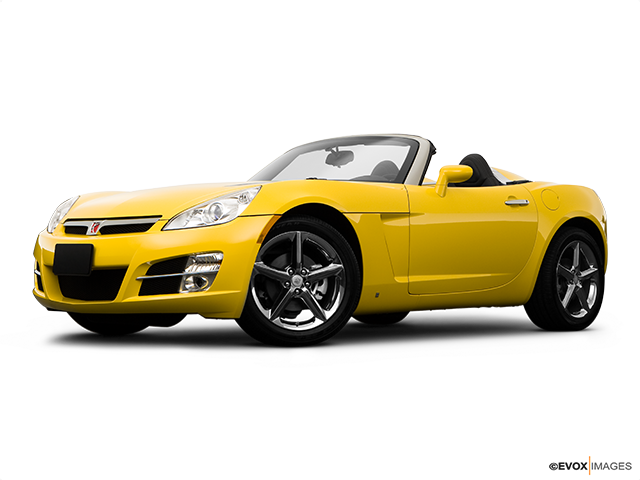 The brakes are equally confidence-inspiring, making the Saturn Sky the perfect choice both for daily drives and sporty, weekend adventures. Consider investing in this marvel of engineering and design if you’re on the market for a four-wheeler that has plenty to offer both at high speeds and when it’s simply guarding your parking space.